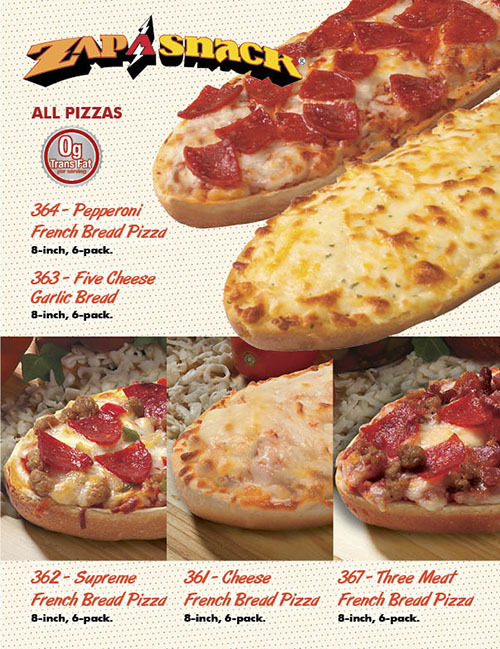 Our most popular brochure program! 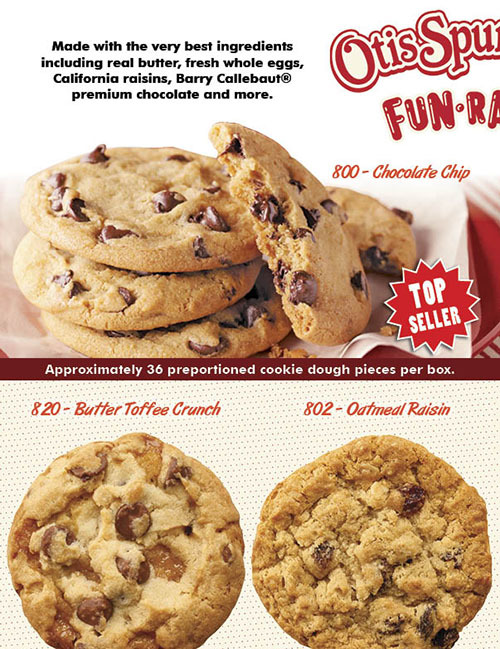 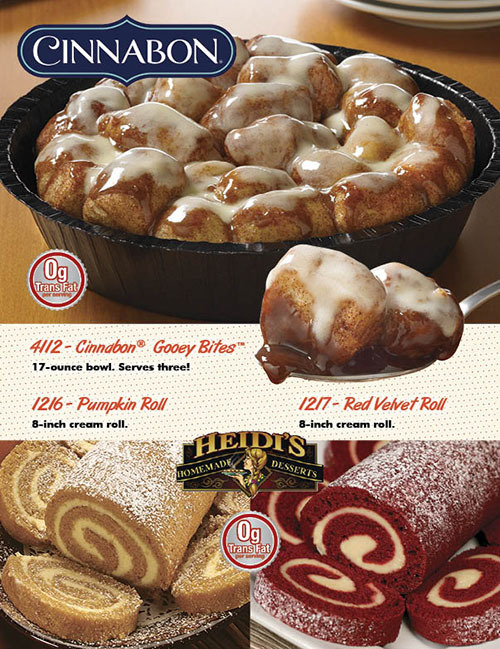 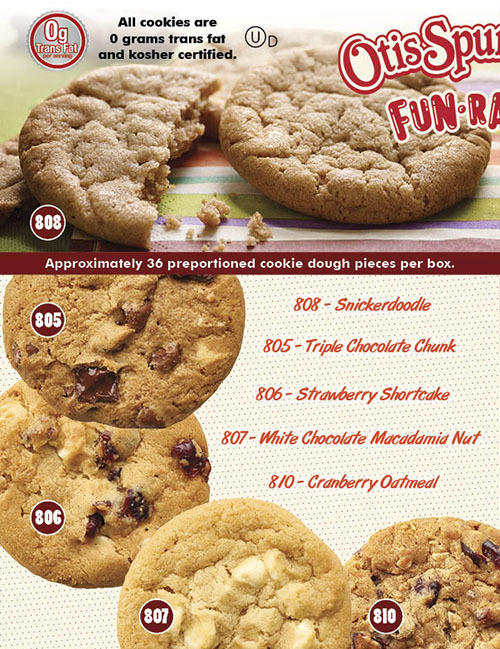 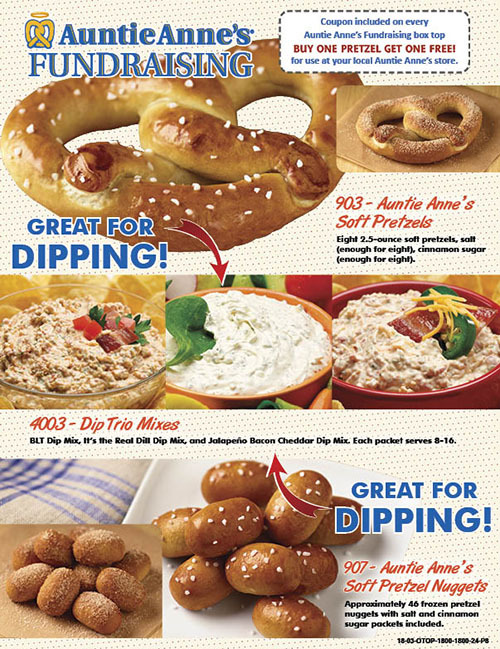 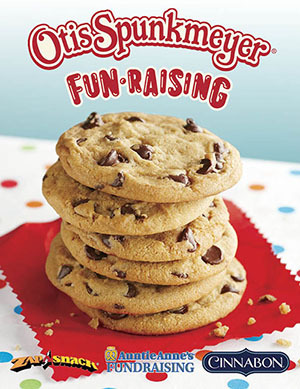 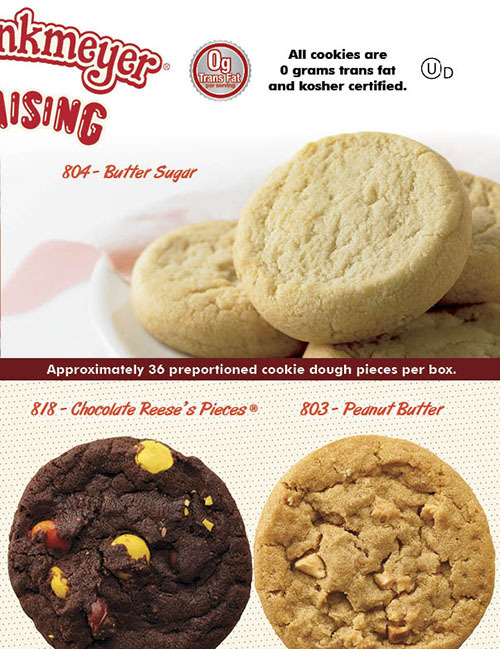 Groups enjoy this brochure for the wide variety of brand name Otis Spunkmeyer cookie dough flavors, french bread pizzas, dessert items, and Auntie Anne's items. 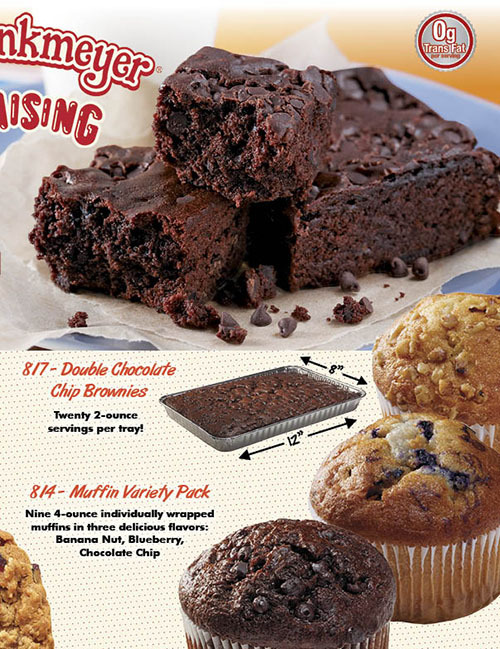 All items are conveniently the same retail!